David James (@EducationFest) and I talking about Google Apps at BETT 2013. Bakhtin, Wordsworth, Eric Cartman and why Google Should Replace the Dictionary. Earlier this year I was teaching ‘I Wandered Lonely as a Cloud’ by William Wordsworth and when I came to the line “A poet could not but be gay,” I put the book down, looked at the class and waited for the inevitable giggling to ensue. In a Bakhtinian sense of course these pupils were not engaging in an act of sedition so much as responding to a socio-cultural signifier in the form of the word ‘gay’ which has been radically transformed since Wordsworth employed the word. 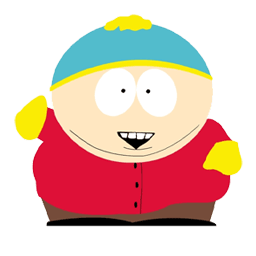 For Cartman and many kids today the word ‘gay’ has a negative connotation, for many (idiots) the word represents a moral transgression yet for many others it is a proud badge of identity. Where then does the ‘meaning’ of this word lie? All this got me thinking about how the notion of a monologic definition of a word is fast becoming obselete and that at a time when student literacy is reportedly worse than ever we surely need a better framework for students to access meaning than the dictionary. For Bakhtin, the ‘word’ is not where the locus of meaning resides. Words are imbued with meaning depending on the speaker, the tone used or the prior relationship between the speakers. The determining factor is the context around which the word or utterance is created which is why I have such a problem with giving students dictionary definitions of words. If they do not have the frames of reference with which to comprehend them, then what use are they? So last week I tried an experiment with a year 10 class. (14 year olds) I thought instead of using the monologic exchange of dictionaries to ‘expand’ their vocabulary. I would try and create a broader contextual framework for students to construct meaning and more importantly to get them into the habit of teaching themselves and ‘owning’ the word. Resonance: The quality or condition of being resonant. Brilliant. She now didn’t know two words. Why define a word for someone who doesn’t know the word with a variant of the same word they don’t know?? So I asked her to not focus on the word but focus on words around the word and try to create meaning by using a combination of different Google searches such as ‘That idea resonates with me.’ or ‘The book had a real resonance…’ etc. And I also asked her to be persistant and to do at least 10 searches and try to build up a ‘gradual meaning’ of the word instead of the solitary and (for her) confrontational dictionary definition of it. The results were amazing. Within a few minutes she had not only completely understood the word through seeing in a dialogic exchange with texts she could relate to, but could now apply it in her own vocabulary and had learned it in a way that had far more consolidation than the monologic exchange a dictionary provides. More importantly, she also felt better about herself. Ot of this experience, I decided I would create a series of lesson starters aimed at improving students vocabulary called ‘Dialogic Dictionary’ where instead of giving students dictionary definitions of words, I would instead subvert that process and give then 10 instances of the word in context and then leave a blank space at the end where they then have to write a standard dictionary definition in their own words, and then a final task where they write a sentence using the word incorporating an instance in their own life where the new word applies. Anyone interested in this, or (in the spirit of Bakhtin’s dialogic principle) anyone with ideas to improve this please email me. The danger of course is that ultimately you will end up like this. Mikhail Bakhtin, Speech Genres and Other Late Essays. Trans. Vern W. McGee. Austin, TX: University of Texas Press, 1986.